Qube has been piloted in various states of the country for the hospitality segment, a couple of months ago. Based on the overwhelming response received, now the brand forays into the B2C segment through its trade channels. A one of its kind cooling device, Godrej Qube is designed especially for small cooling needs of people. 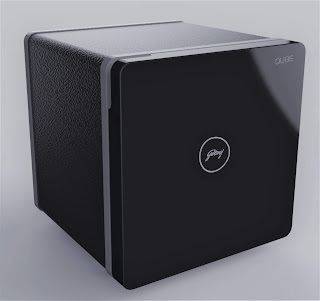 One of its biggest advantage is that unlike all the other cooling solutions available in this segment, it is a 0 frost product which means no defrosting hassles. 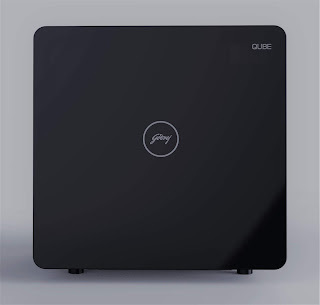 This unique no defrosting advantage coupled with its compact footprint and relative storage capacity, silent operation and aesthetically appealing design, makes Godrej Qube ideal as a personal Food & Beverage cooling device suited for various living and work spaces, much beyond the kitchen – be it bedrooms or offices and shops or hotels, hostels and guest houses.